'A Series of Unfortunate Events:' How Many Seasons Will There Be? After eight episodes, the Baudelaire children are still right in the middle of “Lemony Snicket’s A Series of Unfortunate Events.” The Netflix adaptation of the book series got through four books in the first season, but still has a long way to go. Netflix’s gamble on “Lemony Snicket’s A Series of Unfortunate Events” is already paying off. Ratings beating Netflix’s last winning Marvel show, “Luke Cage.” Netflix officially announced it renewed the series for a second and third season — but how many will it take to cover the whole book series? The answer: three seasons in total, meaning Netflix’s series will be the first-ever adaptation of all 13 books in the series. Netflix announced in March it was renewing “A Series of Unfortunate Events” for a second season. Then, in April — before it even released Season 2 — Netflix went in for the series’ third and final season. With the three seasons official, we now know how Netflix intends to divvy up each set of episodes to cover all 13 books, as well. It’s also worth noting that in addition to the 13 books in the main “A Series of Unfortunate Events” series, Handler also wrote prequels under the Lemony Snicket pseudonym. There are four books under the series title “All the Wrong Questions:” “Who Could That Be at This Hour?,” “When Did You See Her Last?,” “Shouldn’t You be in School?” and “Why is This Night Different From All the Other Nights?”. Right now there are no announced plans to adapt those books. The good news (or bad news) for fans is that, in any (unfortunate) event, there will be 18 more episodes of grim situations and calamitous circumstances awaiting the Baudelaire orphans. There is a ridiculous number of original series available on Netflix right now — so many it's almost impossible to keep up with them. Even Netflix seems to have a tough time making sure its viewers know about its shows. 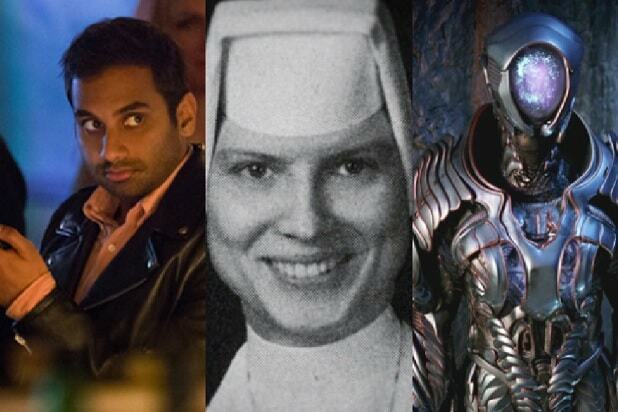 We dug into the annals of Netflix series and plucked out the very best ones for your enjoyment. Here they are in order of great to phenomenal. Netflix's take on the 1960s TV show about a family marooned on a weird alien planet, with only each other, their pilot, a robot, and a self-serving doctor for company is a lot of fun. A (mostly) more realistic take than the original, the show manages to capture an interesting family dynamic while still tapping into over-the-top sci-fi ideas. "Dark" concerns a small German town where children have disappeared -- just like 30 years ago. The story starts out as a fascinating, character-driven drama, but quickly starts to pick up speed with some paranormal, science fiction-y elements. There's a lot more to the mystery than first meets the eye in "Dark," and the show does a great job of weaving it over the course of its first season. Cillian Murphy and Sam Neill facing off from opposite sides of the law in post-World War I Britain is enough to make “Peaky Blinders” worth a watch. But its great casting and rock music-amplified tone make it a period crime drama that’s unpredictable in a completely violent way. It’s not easy being queen. “The Crown” digs into the personal stories of the British royal family as Queen Elizabeth II is crowned. Elizabeth is constantly pulled between family squabbles, politics, personal responsibility and her duties, and there’s plenty of drama to go around. It takes a bit to hit its stride, but once it does, “BoJack Horseman” joins the top tier of animation geared at adults. The goofy comedy combines solid writing and a cynical look at Hollywood with a darker look at issues like depression. The gritty British thriller starring Gillian Anderson of “The X-Files” fame is split between two perspectives: Anderson’s Detective Gibson and the serial killer she’s hunting. Anderson is consistently great as the no-nonsense Gibson, who hunts the killer while fighting off controversy among the police and the press. This adaptation of the children’s book series of the same name manages a hilariously melancholy tone. 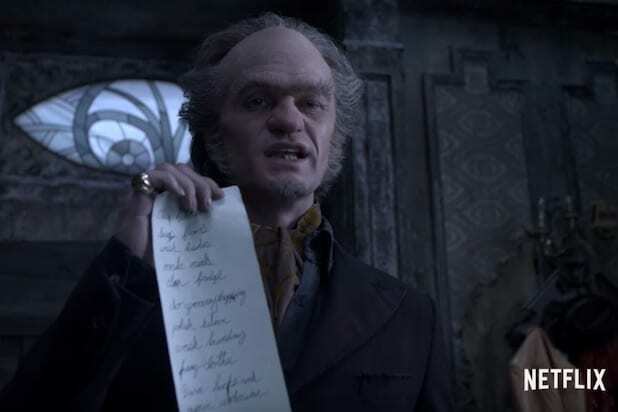 Neil Patrick Harris slays the role of the ridiculously evil Count Olaf, and the rest of the show is full of great performances from a series of stars. There's a lot to love about "Santa Clarita Diet" and it's fun take on the undead. Drew Barrymore and Timothy Olyphant in particular are hilariously square suburbanites. The way they take to murdering people for the newly zombified Barrymore to eat, in order to preserve their family, is weirdly heartwarming and constantly funny. “Travelers” goes gritty with its time travel, imagining agents from the future who have to take over the bodies of people in the past in order to stop the end of the world. The best stuff here is the personal drama as the characters battle their own guilt at the harm they sometimes have to do for the greater good. Adapting the movie of the same name into a series, "Dear White People" digs into race and racism in an Ivy League school. The series is poignant and smart, as well as hilarious all the way through as it finds smart, funny ways to tackle tough topics. The first of Netflix’s original shows featuring Marvel superheroes was a surprisingly dark and intense take. With awesome action and strong stories, “Daredevil” gave Marvel fans a more subdued, believable kind of superhero story in its two seasons. "American Vandal" turns true crime documentary into a comedy, digging into the mystery of who was responsible for spray painting faculty cars at a high school. The show is simultaneously a send-up of super-serious crime docs, and an enthralling and effective mystery all on its own. The deep-dive documentary into the investigation of the murder of Teresa Halbach stretches on for 10 episodes, but it’s never boring. Instead, it presents a look into the investigation and conviction of Steven Avery that has sent many viewers digging into the case looking for the truth themselves. Netflix’s superhero offerings do a stellar job of expanding Marvel stories into perspectives fans might not be used to seeing. “Luke Cage” takes viewers to Harlem, and it’s just as conscious of the implications of following a black man who’s immune to being shot as it is of how cool it would be to have bullet-proof skin. The second partnership of Netflix and Marvel pits the super-strong but flawed Jessica Jones against a mind-controlling man she can’t convince anyone exists. “Jessica Jones” is more drama than action, and watching her try to out-maneuver the manipulative Purple Man is often more exciting than flying superhero fists. The saga of Pablo Escobar's rise to power and the DEA agents tasked with stopping him is a powerhouse of strong acting. There's no shortage of crime story violence and mystery in the lengthy drug war Escobar wages, which now covers two seasons. Director David Fincher hits two competing feelings all the way through "Mindhunter." As FBI agents Ford and Tench create a new kind of profiling in the 1970s by interviewing serial killers, the show oscillates between being morbidly fascinating and increasingly dread-inducing. Either way, it's hard to turn away from this crime story. Netflix’s “Stranger Things” perfectly channels a 1980s movie aesthetic and tells a compelling monster-slash-government conspiracy story. It’s also that certain sort of kid-driven Steven Spielberg or Stephen King kind of story that there just aren’t enough of in the 21st Century. Season 2 is coming this Halloween. Netflix's Marvel shows have been hit and miss, but the violent, brooding, semi-noir mystery it spins in "The Punisher" is the best of the bunch so far. A lack of superpowers makes protagonist Frank Castle (Jon Bernthal) easy to relate to, but it's the rest of the extremely strong cast that makes the show so engrossing. This Tina Fey-co-created comedy starts with a strange premise — Kimmy (Ellie Kemper) has escaped a bunker after being kidnapped by a doomsday evangelist for years. But Kemper’s relentlessly upbeat attitude and the supporting zany cast make “Unbreakable” something of a weirdo answer to “30 Rock.” You’ll need to rewatch it to catch all of the hidden jokes. A true crime documentary series that looks to explore the decades-old murder of Sister Cathy Cesnik in Baltimore. Netflix's excellent doc spirals into a much deeper and more chilling story that delves into sexual abuse in a Catholic high school, and the murder that might have happened to cover it up. When a money launderer has to convince the drug cartel he works for not to kill him, he has to cart his whole family from Chicago to Missouri in Netflix's crime drama. Imagine "Breaking Bad," but with less chemistry and the entire family involved in trying desperately to keep from getting caught, satisfy the bad guys and stay together. Frank Underwood (Kevin Spacey) is backstabbing his way to greater power in the halls of Washington D.C. It's occasionally ridiculous, but great performances by Spacey, Robin Wright, and many more make Underwood's machinations hard to guess and harder to stop watching. The longer “OITNB” goes on, the better it gets, as it delves into the diverse perspectives of its women’s prison population. It’s an examination of the justice system, of people trying to make the best of a bad situation, and of friendship and survival. It’s also consistently hilarious and sports a phenomenal cast. Aziz Ansari brings a rare brand of comedy that's instantly relatable. Whether it's about navigating life at 30 or the experience of growing up in America as the child of immigrants, "Master of None" has a unique, extremely funny perspective. The second season is even better with the first, mixing hilarious and very real moments.